The New York Yankees have agreed to a deal with free-agent left-handed pitcher Gio Gonzalez, the team confirmed Monday night. It's a minor league deal, and if Gonzalez is added to the major league roster the contract will be worth $3 million for the season, plus incentives, a source told ESPN's Buster Olney. The deal allows Gonzalez to opt out April 20 if he has not been added to the major league roster by then, the source said. "It gives him an opportunity to come to camp and compete in front of us and others," Yankees general manager Brian Cashman said Monday night, late in the Yankees' 7-4 win over the Atlanta Braves. Cashman spoke carefully about the signing, admitting only that the Yankees and Gonzalez's reps have come to a "verbal agreement." The GM said conversations about adding Gonzalez began at the start of spring training. The reported deal comes just days after Cashman told reporters that ace Luis Severino will likely miss the first month of the regular season with a shoulder injury. Cashman also said veteran CC Sabathia is not expected to return to the rotation until mid-to-late April, as he finishes his rehab from offseason knee surgery and an unexpected heart procedure. However, the Yankees are potentially adding a durable left-hander to their injury-riddled rotation. Gonzalez is one of only five pitchers who have made at least 25 starts in every season this decade, along with Max Scherzer, Zack Greinke, Jon Lester and Rick Porcello, according to ESPN Stats & Information research. "Excited to get some depth," Yankees manager Aaron Boone said, echoing a point Cashman also made. "You can never have enough pitching. I'm looking forward to him getting here and getting our hands on him a bit." 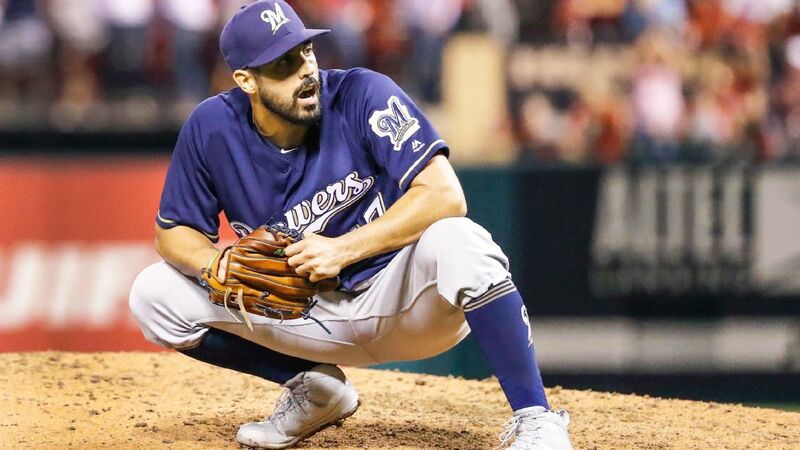 Gonzalez, 33, was acquired from the Washington Nationals amid a flurry of deals by the Brewers at the trade deadline and immediately made an impact as Milwaukee chased down the Chicago Cubs to win the NL Central title. "Still an effective pitcher at this point in his career," Boone said. "He's had years where he's been a front-line guy, but right now, especially with being a couple guys down, to have a guy like him still available, it's a luxury to be able to add him just for depth." Gonzalez has faced batters and thrown upward of 80 pitches in recent sessions in his native Miami, according to multiple reports. "We'll see how far along he is," Boone added. "If we're at a point where he's actually in play for the next couple of weeks, we'll see." At some time in the next two days, Boone expects to get a crash course on Gonzalez. While the Yankees travel across the Sunshine State for games in South Florida later this week, Boone is planning to have dinner with his father, Bob Boone, a current special adviser for the Nationals. The Nationals train at the same complex as the Houston Astros, the team the Yankees visit Wednesday. "I'm sure I'll dive in on [Gonzalez] a little bit," Boone said, smiling as he referred to his upcoming father-son meal. He went 3-0 with a 2.13 ERA in his five regular-season starts for the Brewers but made only two postseason appearances in the NL Championship Series, throwing two innings in Game 1, by design, and just one inning in Game 4 after he suffered a high ankle sprain. Overall, he went 10-11 with a 4.21 ERA and 148 strikeouts between the Nationals and Brewers in 2018, making $12 million. Prior to being acquired by the Brewers, Gonzalez struggled with the Nationals last season, and his 6.75 ERA from June through August ranked 73rd out of 74 qualified starters in that span, ahead of only that of Bartolo Colon. "I think everyone needs a fresh start now and then," Gonzalez said after the trade. "It's unfortunate I put myself in this situation, and now it's time I get myself out of it." He spent the previous seven seasons in Washington and ranks first in Nationals franchise history in wins (86), WAR (21.4) and strikeouts (1,215). The two-time All-Star won 15 games and finished sixth in NL Cy Young Award voting in 2017, and he won 21 games with a 2.89 ERA in 2012, when he was third in balloting. Gonzalez, who was selected in the first round of the 2004 draft, is 127-97 with a 3.69 ERA in 11 major league seasons, which includes four years with the Oakland Athletics. ESPN's Coley Harvey contributed to this report.